Whether it’s skiing, snowboarding, sledding, tubing, snowmobiling or just making snow angels, playing in a fresh blanket of sparkling snow is magical. 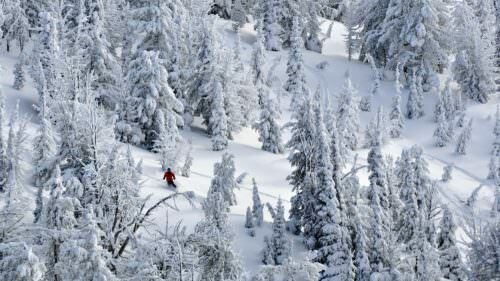 It’s easy to do all of that in Eastern Oregon, where the pristine backcountry brings plenty of white stuff each winter. You can experience here without the crowds and lines, in a low-key, friendly environment. So pack up the gear, load up the car and consider heading to Eastern Oregon this season for a family snow adventure that will give you sore cheeks from so much smiling. An hour east of Baker City, the little town of Halfway is not exactly on the beaten path. That’s what makes it so special. The snowy peaks and valleys here in the southern part of the Wallowa-Whitman National Forest belong on a postcard. Make your basecamp at Cornucopia Lodge, where you can bring your own gear and take advantage of the 200-plus miles of groomed trails right outside the door that are a haven for snowmobiling, cross-country skiing and snowshoeing. (Note: Bring your gear or rent some before you get to Halfway.) Or, just stow away for a long weekend here in the lodge, with a cozy fireplace and one- or two-bedroom cabins with kitchenettes for rent. The rooms come with a hearty breakfast at the lodge, and lunch and dinner can be included by request. If the family needs to take a giant snow day and just play board games and have snowball fights, this is the place. If you prefer more amenities, stay a night or two at Anthony Lakes Mountain Resort, just off Interstate-84 between Baker City and La Grande. 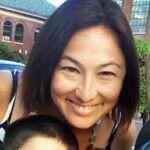 Here, you can rent ski gear and take advantage of the $40 Parent Swap Lift Ticket, a brilliant solution to the logistical problem of childcare when parents just want to ski. 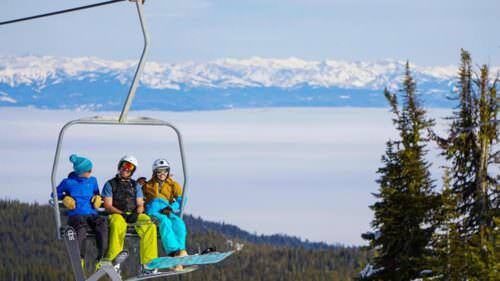 The ticket lets parents swap between watching Junior and taking gleeful runs down the 7,100 feet of powder, part of the Elkhorn range of the Blue Mountains. In between runs, warm your toes at the new yurt at the top of one of the chairlifts or refuel with coffee, cinnamon rolls and fireside views of the mountain at the lodge. When it’s time to retire (or nap), you won’t have to travel far. Just a quarter-mile from the lodge are two backcountry yurts available for rent year-round, each equipped with stoves, kitchenettes, bunks and coolers. Wake up in the morning, push off and glide down the hill, and do it all over again. 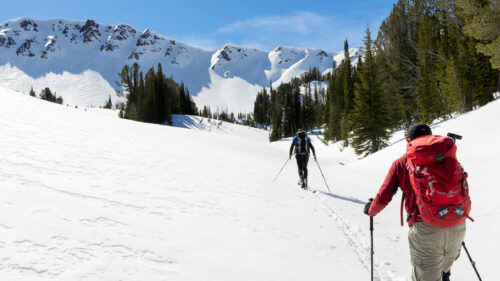 Affectionately known as “Fergi” for short, Ferguson Ridge Ski Area, nine miles outside of Joseph, has been an accessible snowy playground in the Eagle Cap Wilderness for generations. The community-owned, volunteer-run operation is the kind of place where kids learn to ski and come back in 20 years with their own children. It’s easy to rent gear at Ferguson or at the hardware store in Joseph. Make memories zipping through endless powder on eight trails and using the old-school surface lift and rope tow that lead uphill to 5,200 feet of elevation. Take advantage of your location and stay in the jaw-droppingly beautiful town of Joseph, with its thriving downtown straight out of a Rockwell painting, with no shortage of cozy guest retreats. At the base of the Eagle Cap Wilderness and Wallowa Lake, try the Eagle Cap Chalets for an ideal family retreat. The spacious units come with fully equipped kitchens, gas fireplaces or stoves and and easy walking distance of local restaurants. There’s plenty to do to stay busy in downtown Joseph.